“The Internet’s Own Boy” about Aaron Swartz is a Kickstarter-funded documentary about the Reddit founder. The New Aaron Swartz Documentary Looks Powerful. Here’s the Trailer. Aaron Swartz in 2009 at a Wikipedia Meetup. Swartz committed suicide in January 2013 at age 26, but his reach and impact on the tech and tech-policy worlds were already enormous. A computer-programming prodigy, he worked on projects like RSS and Creative Commons before he was 16. He dove into politics and became an advocate and activist for publicly available content and an open Internet. But by the time of his death, Swartz was being federally prosecuted for downloading a huge quantity of copyrighted material from JSTOR, the online academic library, at MIT. He was facing jail time and fines. The central question of Knappenberger’s documentary, which premiered at Sundance, seems to be whether Swartz was prosecuted justly, or whether prosecuters were trying to make an example out of him. (The trailer suggests that the documentary leans strongly toward the latter interpretation.) Though Swartz’ death precipitated a slew of worthy Internet long-reads, including one by Slate’s own Justin Peters, the documentary has the potential to reach a fresh audience, including people who only skimmed the news at the time of his death. And the apparent focus on broader societal forces, including the justice system, is in keeping with Swartz’s own priorities. So even if “The Internet’s Own Boy” is mediocre, it could still be useful. But it looks great. 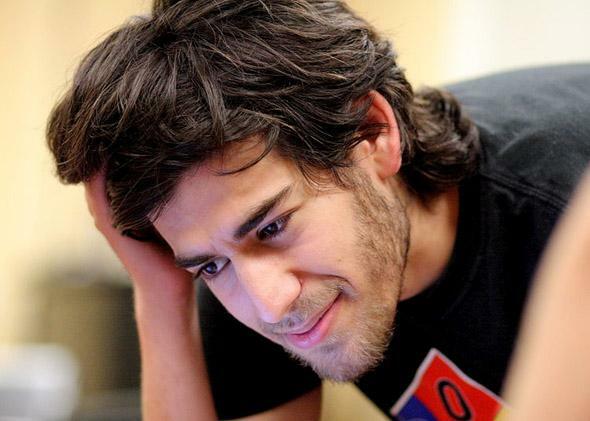 Aaron Swartz Wanted to Save the World. Why Couldn’t He Save Himself? Correction, April 29, 2014: This post originally misstated that the release date for The Internet’s Own Boy is July 27. It is actually June 27.